SKU: 430. Category: Women's Clothing, Women's T-Shirts. 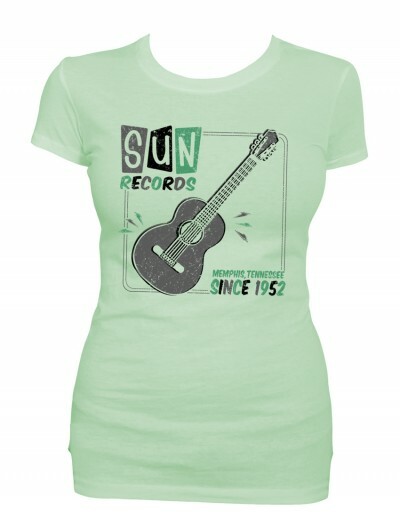 The Retro Rock N Roll short sleeve is inspired by 1950’s logos and fonts. 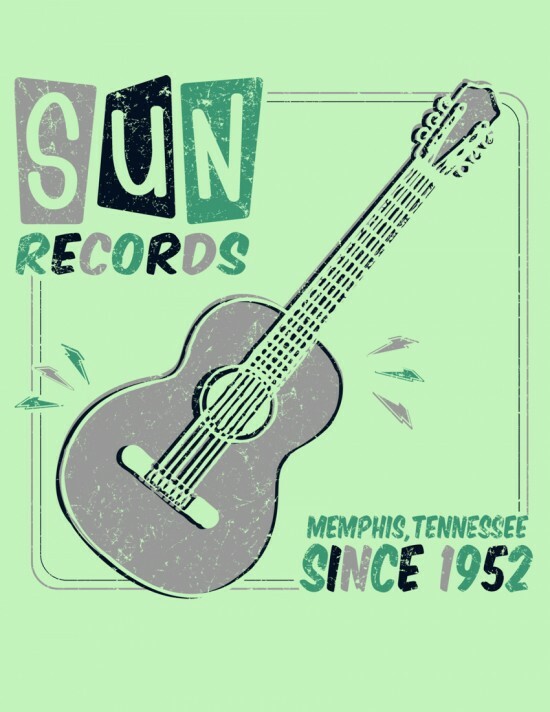 The tee features a retro looking guitar and logo screen printed onto the front with the phrase “Memphis, Tennessee since 1952” is printed at the bottom of the design. This t-shirt is light weight and soft, made from 100% preshrunk cotton the Sun Records Rooftop Rock tee has a basic fit. The design of the t-shirt is printed using a lightweight screen-printing technique, so heavy ink is never an issue and still allows the shirt to breath.